Brand New, Never Been Used General Electric Brand Full Power 40 Channel HELP! Emergency/Information 2-Way Citizens Band Radio. 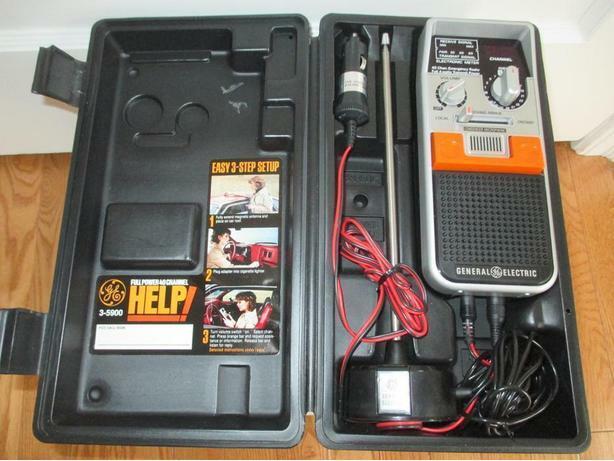 Complete System includes 2-Way Radio, Full Performance Magnetic Antenna, Cigarette Lighter Power Adapter, with Rugged Carry Case. In Absolutely Excellent Condition and Working Order.